What is the effect of this “local lingo” and how can you use it in your stories? 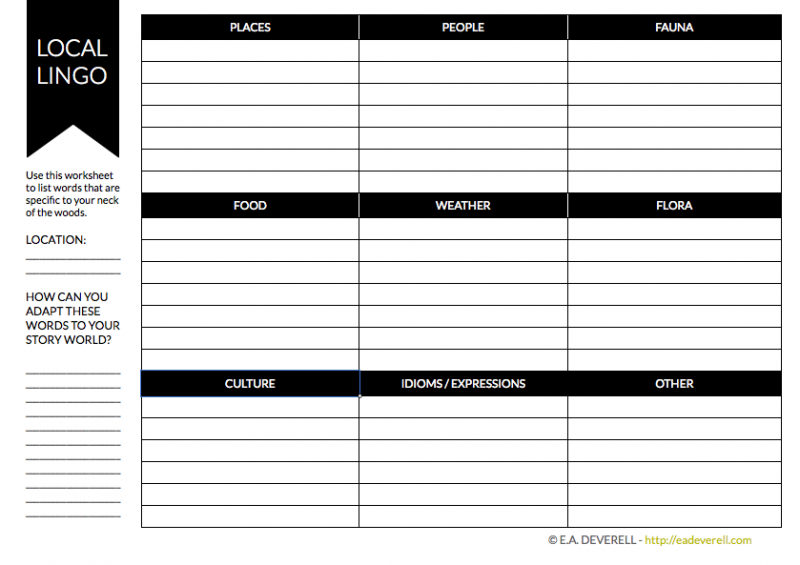 Take this worksheet out and about with you. Listen to people talking on the bus, ask your elders, read your local paper, dig up some history. Challenge yourself to fill it up!